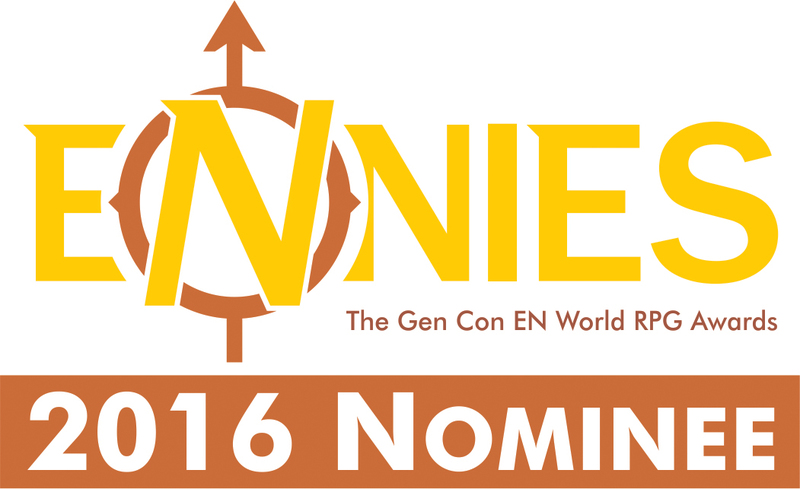 OK, Ramanan S pointed out to me that we have not had significant discussions of race in tabletop roleplaying games since The Thing last year. I take that as an indicator of the chilling effect, but nonetheless it’s not a good excuse. We need to talk, and even more so we need to act. This is not a post to examine the root causes and come up with an overarching plan to eliminate racism, tokenism, erasure, etc. 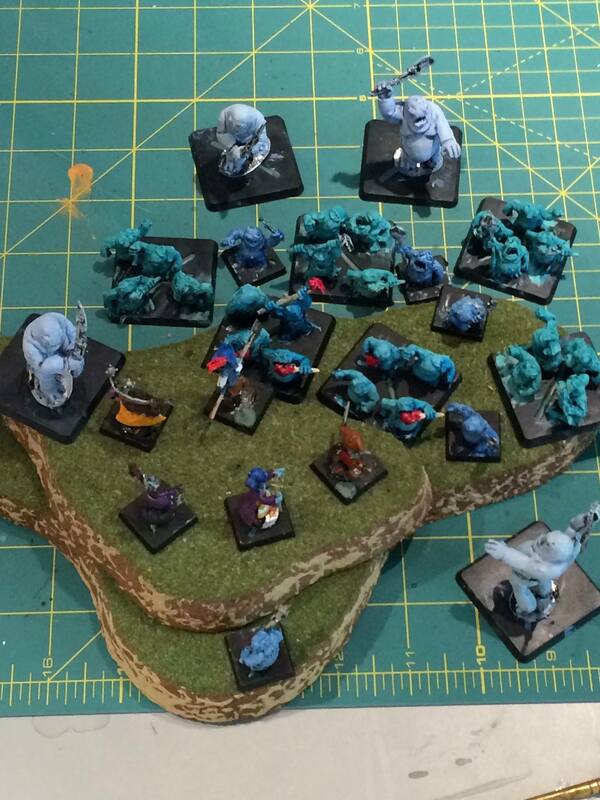 I can’t be the one to tell you all about race problems in the tabletop gaming community. I’m not on the receiving end, and my white privilege means I will, by definition, not be able to see all the instances. Today I take a quick look at a couple of new releases in two different genres: horror and superheroes. Both can be used to expand an existing campaign or as the backbone for a whole new campaign. These will be overviews, not full-fledged reviews since I have not had a chance to run either campaign. If you want Cthulhu Mythos horror that flips the standard Lovecraftian view of minorities on its head, putting them in the roles of heroes who must struggle against cosmic horrors while also fighting for a chance at equality, this is the sourcebook for you. 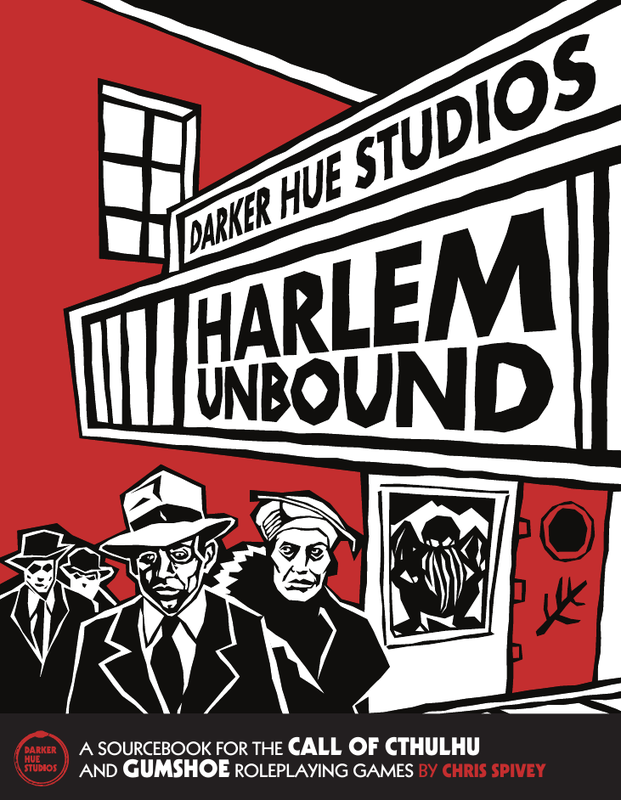 Harlem Unbound is a 274-page sourcebook for Cthulhu Mythos role-play written by Chris Spivey and published by Darker Hue Studios, which provides setting history, locations, characters, adventures, and game-master advice for the Harlem neighbourhood of New York City during the 1920s, the era known as the Harlem Renaissance. System-wise, elements are detailed for play with both Call of Cthulhu 7th Ed. (Chaosium) and the GUMSHOE system (Pelgrane Press). In fact, you can play it as a GUMSHOE standalone, it contains the necessary rules; or you could play it with a GUMSHOE game such as Trail of Cthulhu, Fear Itself, The Yellow King, or The Esoterrorists. However, the materials offered in Harlem Unbound are rich and well-formulated so that in my opinion, there should be little trouble adapting them to another system of your choice. Mechanics are the least of your worries—doing the material justice in play is the GM and players’ true challenge. This is exactly the game supplement you need to run adventures in the vein of The Ballad of Black Tom (Victor LaValle) or Lovecraft Country: A Novel (Matt Ruff). The art is of course strongly influenced by luminaries of the Harlem Artists Guild and precursors. Some of it is not my cup of tea (the gorier images), but it is nevertheless well done. I am particularly fond of artist Nino Malong’s contributions. If you missed the Kickstarter funding campaign, you can still pre-order Harlem Unbound on Backerkit. 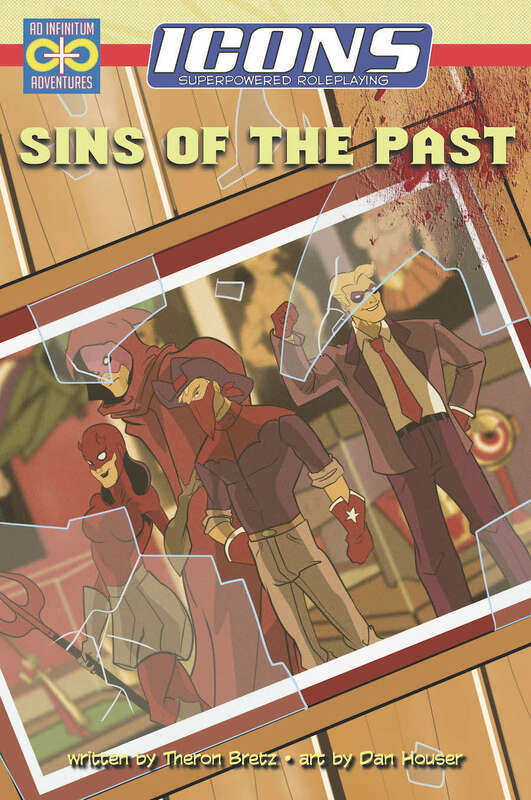 The original Sins of the Past adventure, published back in 2010, is one of the best scenarios ever written for the superhero game ICONS. Since its release, however, the system has undergone a revision and expansion published as the Assembled Edition in 2014. Sins of the Past, Revisited is a 52-page adventure written by Theron Bretz, illustrated by Dan Houser—the same team that created the original edition—and published by Ad Infinitum Adventures for ICONS Superpowered Roleplaying: The Assembled Edition. 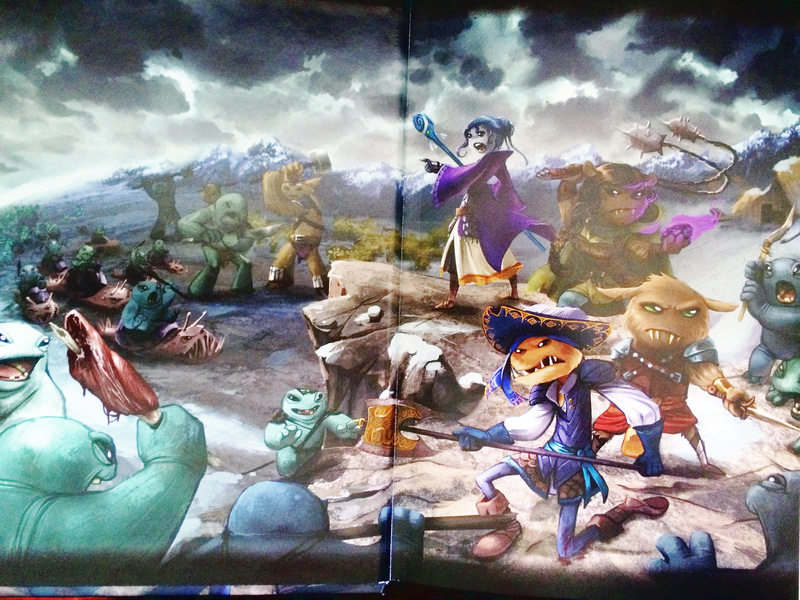 It does not only update the mechanical bits to reflect the most recent version of the game; it offers new material, game-master advice, and notes on the playtest games. There is more art and new maps, everything a GM needs to run exciting scenes of superheroic action. To top it off, if you prefer to run ICONS using the original rules, this comes with the 2010 version of the adventure for free. This means you can enjoy the new materials without major system adjustments. The adventure connects modern-day superheroes (and villains) with those of the Golden Age. I think the adventure might have the most impact if its chapters were introduced one at a time over the course of a long-running campaign, when some of the GM characters have become familiar figures of the game setting. This could create fantastic buy-in for the players, inviting their characters to shoulder a legacy. You can get the PDF on DriveThruRPG, and I understand that the print version will be available soon. 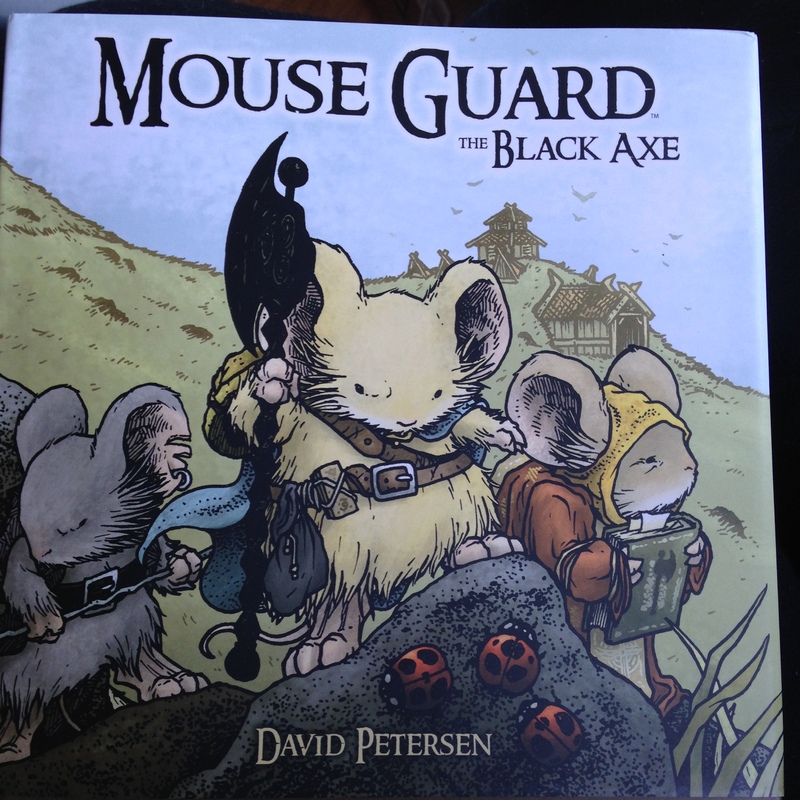 I’m very late in discovering this, but the hardback compilation Mouse Guard: The Black Axe is a must-have for all readers of the Mouse Guard comics (David Petersen, published by Archaia) and especially for players of the role-playing game based on the comic, the Mouse Guard RPG (Luke Crane & David Petersen). Welp, having used the example of the Frankie West character from Deep Dark Blue (Evil Hat Productions) in yesterday’s post, I was then haunted once again by the wish to play or run in that kind of setting. (I loved Fantasy Flight Games’ Blue Planet v2 way back when). I loaded the first season of seaQuest DSV on Netflix, and longingly thumbed through David Brin’s Startide Rising. 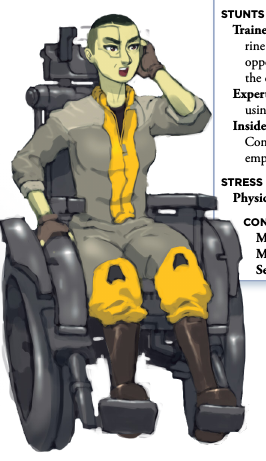 After the stupid kerfuffle about whether you could have a character who uses a wheelchair on a science fiction submarine, and looking at Streaker and seaQuest built to accommodate frickin’ dolphins throughout their length, I want to yell at people who lack both empathy and imagination. Even as I wish I could play right this minute! Darwin the dolphin swam everywhere on seaQuest! I swear as soon as I get a chance, I will play this character. How is that not the coolest thing in the middle of a big battle scene for the character to unlock their powered wheelchair from the gunner station, dive into the nearest moon pool opening, swim to the lab, get the macguffin, dive back in, zip to the torpedo bay, fix the problem, and swim back to their station? Credits: Illustration by Arthur Asa taken from Deep Dark Blue, © 2016 Evil Hat Productions. SeaQuest layout from seaQuest V play-by-email sim by Crazynexus. 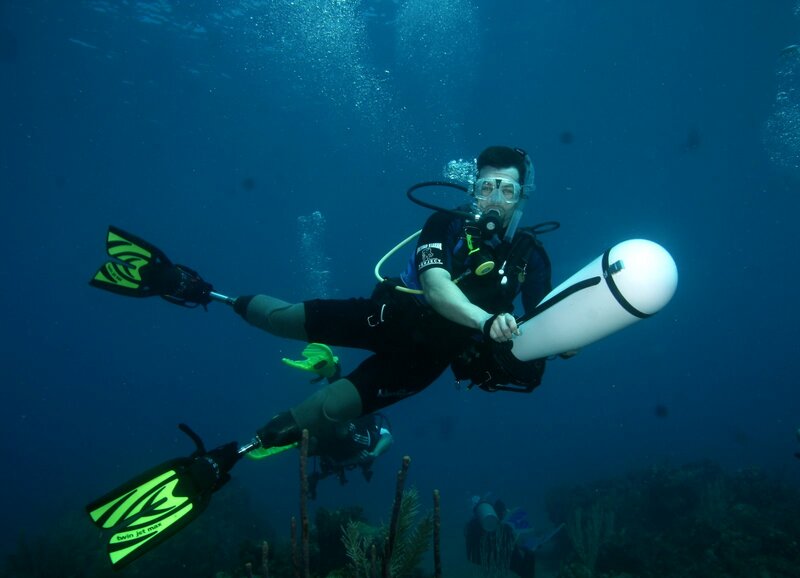 Photo of diver © 2010 Soldiers Undertaking Disabled Scuba (SUDS). 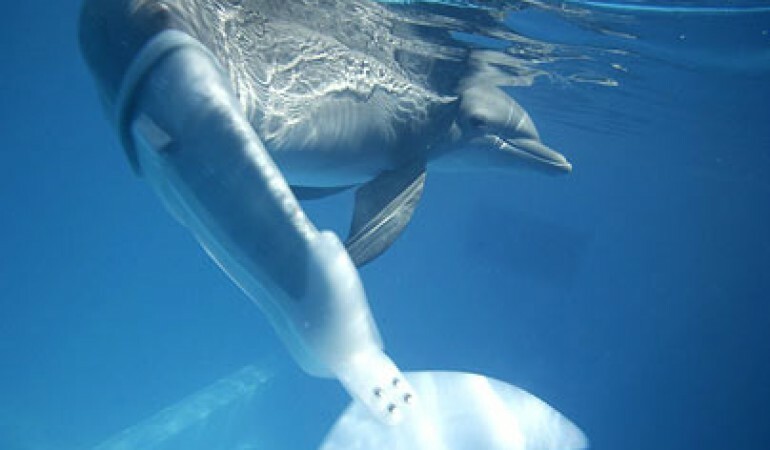 Photo of Winter the dolphin © 2008 Barry Bland. Hey, it’s time for dude derision! 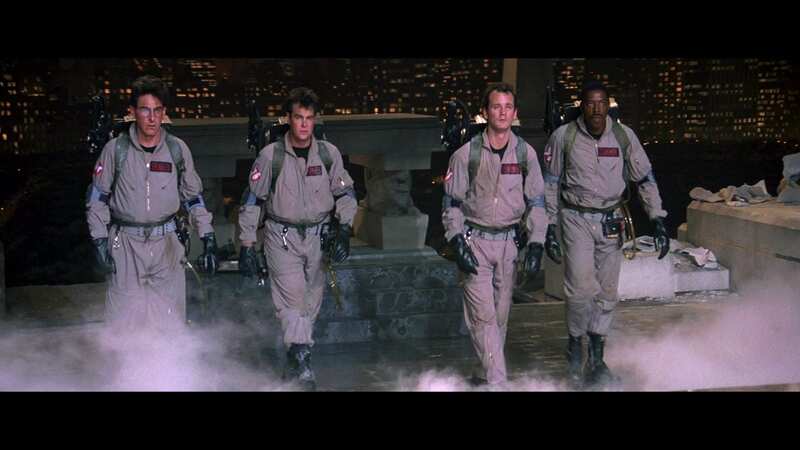 A couple of days ago the trailer for the Ghostbusters reboot was released and unleashed a wave of anger, sorrow, and reportedly flaccid penises among the U.S.A.’s most vocal minority, Insecure White Men. 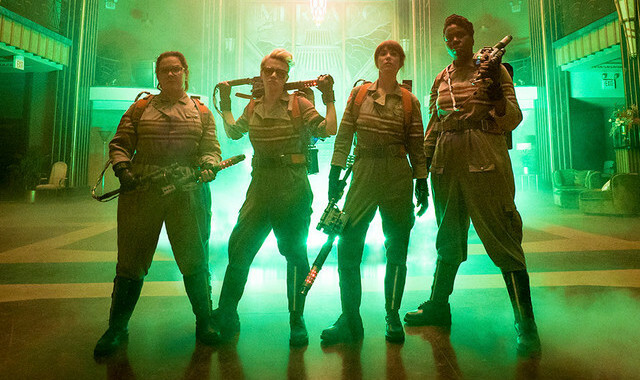 The new movie’s four female leads, which do not even include any bikini babes, in lieu of the 1986 all-male line-up have left the MRA contingent weeping tears of impotent rage. 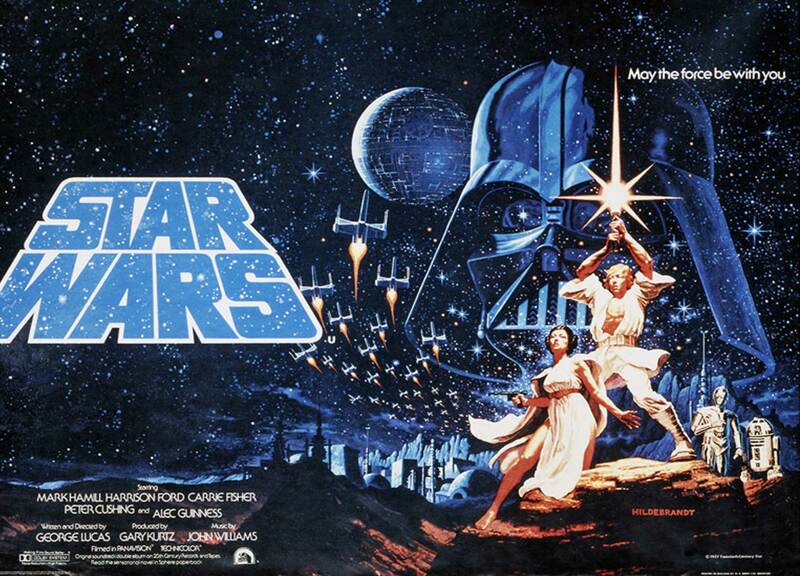 This is not the first time in recent years that a cinema classic has been completely stricken from loving memories after a sequel or remake made the original completely unwatchable. There is too little attention paid to this phenomenon, which has left the lives of too many IWMs joyless and tragic. How can true fans find any satisfaction in re-watching these classics, knowing that out there someone is enjoying a different version? But the harm is far more insidious. These are not, in fact, merely different takes on the fictional universes so savaged: they represent visions unapproved by IWMs. 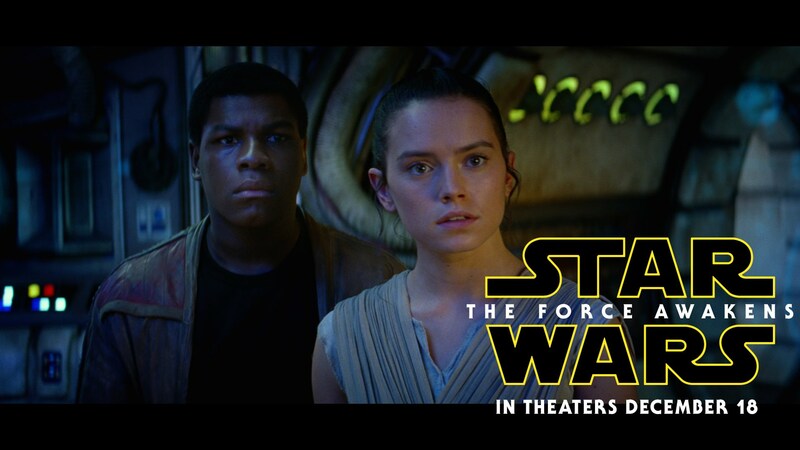 Please take a moment to consider the pain of a self-respecting dude, a real man, a genuine bro forced to see headlines, images, friends’ Facebook statuses and perhaps even entire minutes of movie trailers containing fully-dressed, normally proportioned female characters with speaking parts. And not only that, but the lack of a strong central white man as the focus of the plot, which may irretrievably shatter fragile IWM psyches. 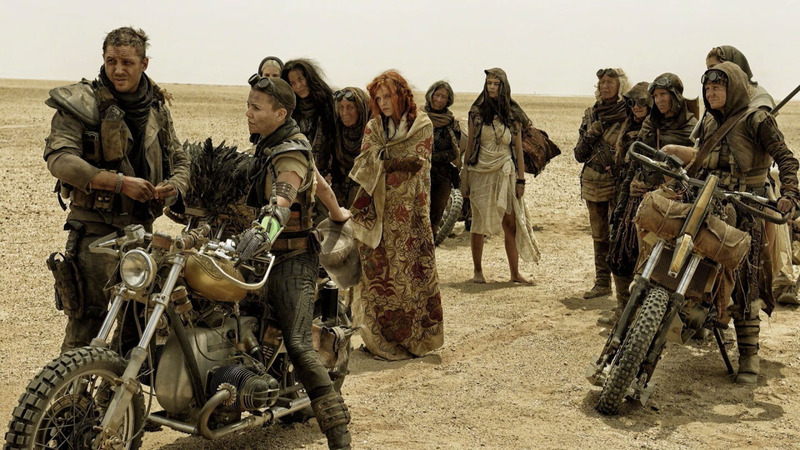 Even when male actors are given a heroic title role, as in last year’s Mad Max: Fury Road, the damage done is considerable. .. while millions are watching this? Sure, a white man may have the title role, but is it even worth it if he is forced to exchange lines of dialogue with women as if on equal footing? If we are forced to consider women’s points of view? The mere fact that he had to go through this ordeal somehow robs us of all satisfaction when the woman actually agrees with the man’s arguments. And those who suggest that IWMs simply not watch forget once again that this does not address the problem: these offensive movies would still exist. It’s not just about women given *shudder* major roles either: while the two examples above generally steer clear of this additional outrage, sometimes these remakes and sequels have also included people of color in speaking parts other than criminal, victim, or enabler. No more can we savour this..
… with vandals doing the unthinkable — twice. 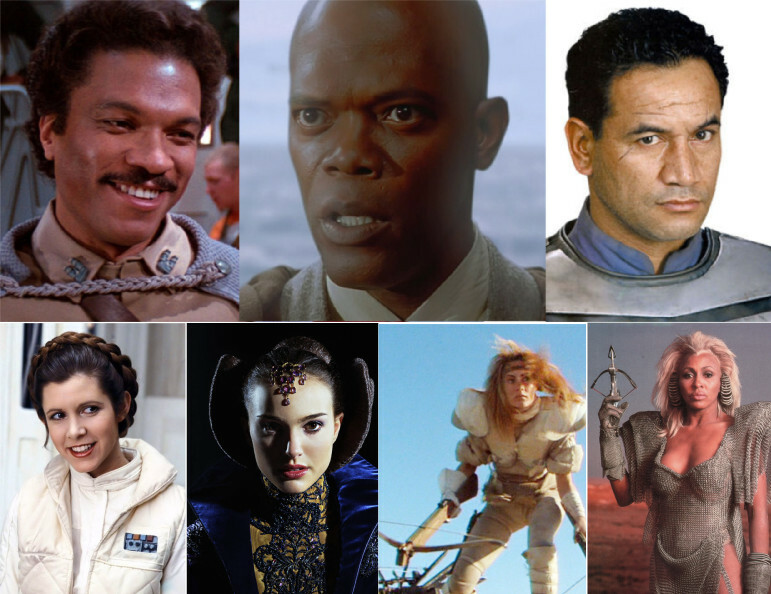 But IWMs remember that the Star Wars universe never had people of colour before (or women), just like Mad Max’s barren wasteland was never polluted by strong female protagonists. Figments of your imagination. Never happened. And it’s not just among main characters either; while a brodude can be generous and tolerate your occasional chick, usually a cool girl, and the token minority, perfidious SJWs have made incursions among supporting cast in disruptive ways. Sure, it’s fine to have women and visible minorities in support roles — but they should be just that, supportive. Not all, you know, assertive and threatening. 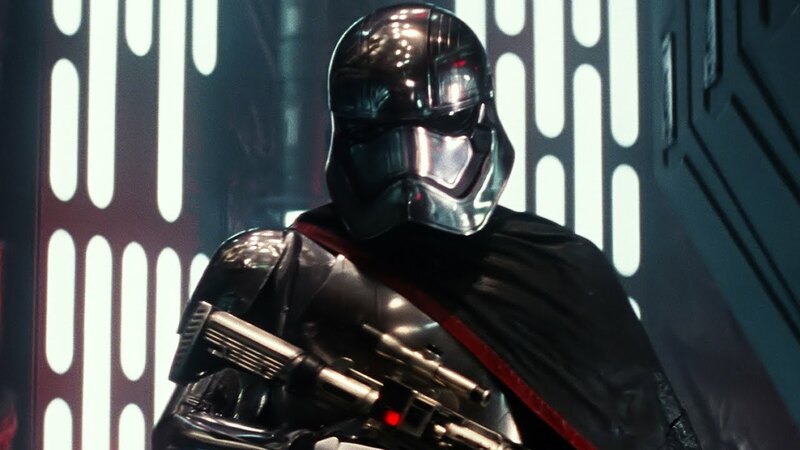 How can stormtrooopers be feared and respected throughout the galaxy if units can be led by women? Not this! Where is the strength, the leadership, the action? Mark my words, this undermining of everything that makes action movies cool and exciting was foreshadowed by so-called “fan works” years ago. 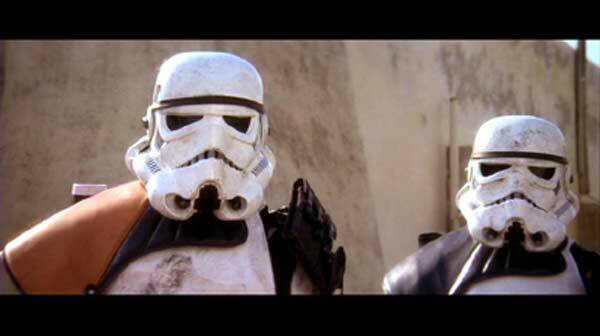 … and the girly stormtroopers in the later IMPS: The Relentless? Hell in a handbasket, gentlemen. That’s where this is all going. Action movies are dying. 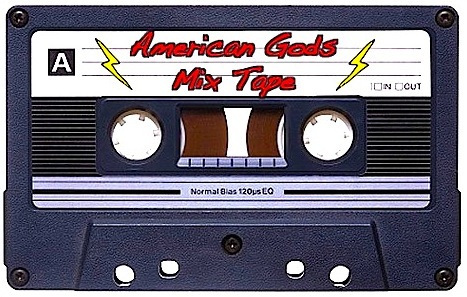 A few years ago, Bridget McGovern at the TOR Books blog put together an exhaustive soundtrack to go along Neil Gaiman’s novel American Gods: “The Complete American Gods Mix Tape”. I added all the tunes I could find, which is the vast majority, to a Spotify playlist. I was thinking of this playlist because Christmas features at the centre portion of the book, so it’s seasonal. 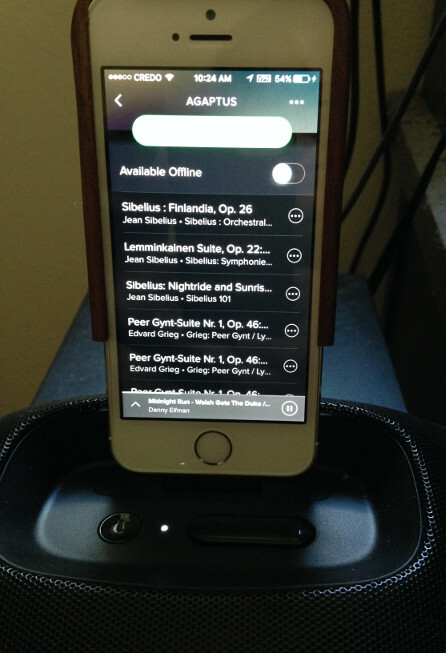 Unfortunately, Spotify does not allow custom images for playlists (it’s only been a top user request for 3.5 years!) but I’m nothing if not stubborn. Hence, sharing through my own blog so I could have a representative image when I post the link! Enjoy. 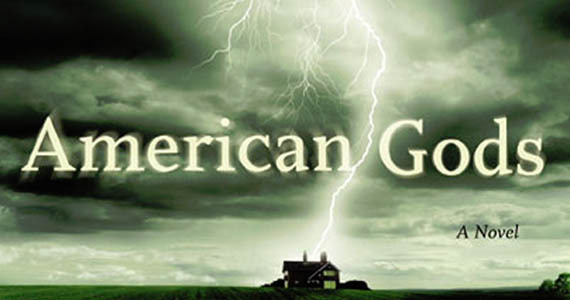 Spotify playlist: American Gods Mix Tape. If you want more about the novel, here are some thoughts and links from my previous posts. Credits: Photo © Edmund Metheny 2015, used with permission; end pages art © ZombieSmith and Evil Hat Productions 2015, used with permission but my photo doesn’t do it justice.